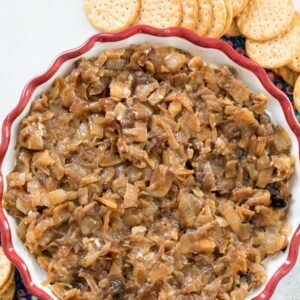 This Caramelized Onion Goat Cheese Dip is an incredibly tasty and super easy party dip that your guests will love! Make it once and you’ll be stuck bringing it to parties for the rest of your life. 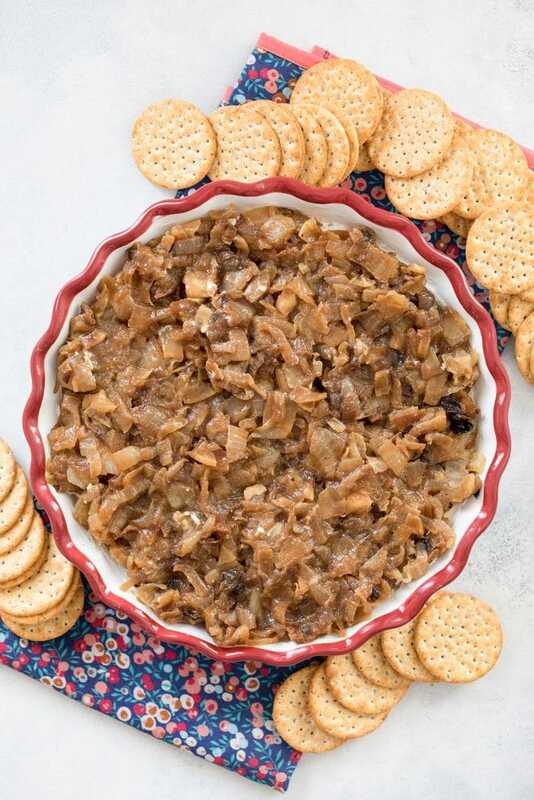 (This recipe for Caramelized Onion Goat Cheese Dip was originally posted in July 2008, but was updated with new photos in 2018). 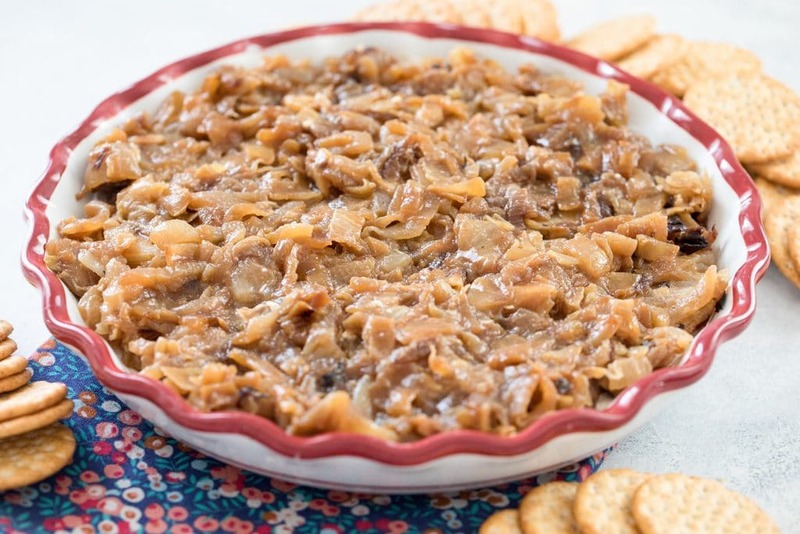 I rarely talk about this Caramelized Onion Goat Cheese Dip on this blog and that’s a darn shame! This, my friends, is a party staple. Seriously, make it once and you will be making it for parties forever (much like my Easy Taco Dip!). And not only is it a wonderfully delicious dip, but it’s also super easy to whip up. 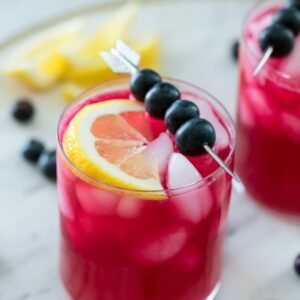 I’m a sucker for easy party appetizers that help you throw gatherings with a little less stress. My mom has been making it forever and I adopted it years ago as my own go-to party dip. The toughest part about it is chopping up all the onions, but I think you can handle that! The first time I published this post, I showed a photo of my aunt’s dog, Mitzi chewing on an onion I dropped on the floor. Someone commented and told me that onions were toxic to dogs, which I had no idea about! Kind of funny because these days I am SO well-versed on what’s bad for dogs and would never let my pup get near an onions (don’t worry, Mitzi was fine and didn’t actually ingest the onion). I guess that’s not the only way my life has changed in the last 10 years (yes, it was 10 years ago that I first shared this dip!). OK so, onto the onion dip. First, you’ll need to caramelize the onions. While this can be a semi-long process, it’s not very arduous. 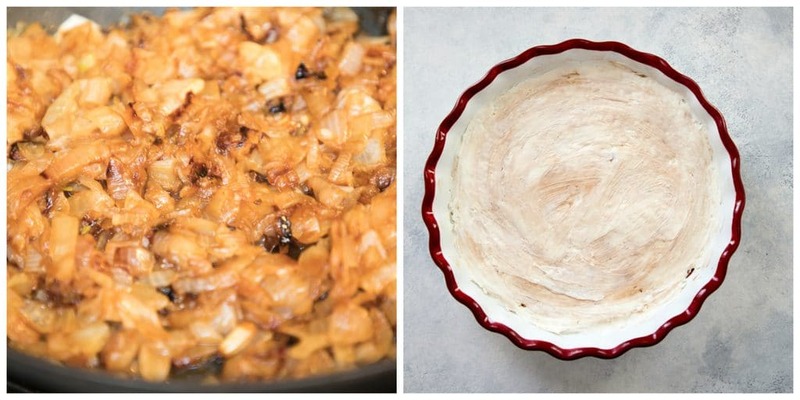 You’ll simply slice the Vidalia onions and let them cook in a little butter, brown sugar, and apple cider vinegar. They’ll need to cook for close to an hour and you’ll need to stir them every so often, but other than that, you can just go about your business while they caramelize. 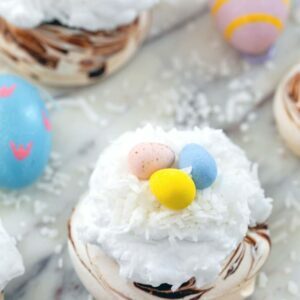 In a large bowl, you’ll mix together the goat cheese and cream cheese with some balsamic vinegar and then spread it in the bottom of a pie dish. And then simply layer the caramelized onions on top of the goat cheese mixture. Easiest thing in the world? Yes. It’s best if you can pop the dip in the oven for a few minutes (or even the microwave) to warm it up a bit. The cheese will get a little warm and oozy and omg so good. I usually serve the dip with crackers, but back in the day during times when we were trying to be a little more diet-conscious, we’d serve it with endive, which was also delicious. The caramelized onion goat cheese dip really is the star of the show, so it doesn’t really matter what you serve it with. Eat it with a spoon if you choose! If you’re a goat cheese lover, you really need to add this goat cheese dip to your list of party foods. 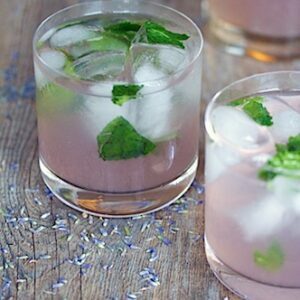 It’s perfect for so many types of parties- Football parties (hello, Super Bowl! ), awards show parties, wedding showers and baby showers, holiday parties, the list goes on! And if you have any goat cheese haters in your life (doesn’t it seem like people either LOVE it or HATE it?? ), you should sneakily give this to them and try to change their mind. Muhaha. Call me evil, but some day that person will thank you (if they don’t completely lose trust in you and abandon you forever). What’s your favorite easy dip for parties? 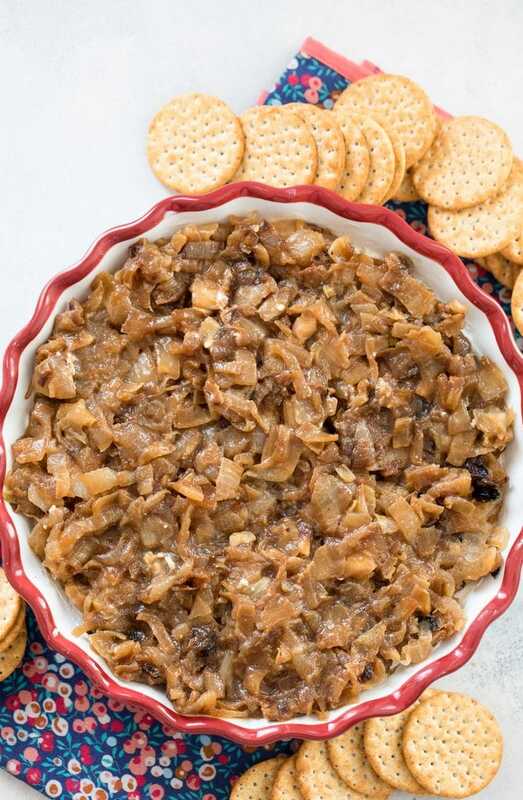 This Caramelized Onion Goat Cheese Dip is an incredibly tasty and super easy party dip that your guests will love! Make it once and you'll be stuck bringing it to parties for the rest of your life. Add butter to a large skillet over medium low heat. When melted, add onions and stir until well coated in butter. When onions are turning transparent, after about 10 minutes of cooking, stir in brown sugar and apple cider vinegar. Continue cooking for 30-40 minutes, stirring every 5 minutes or so, until onions are well caramelized. Stir in salt and pepper. While onions are cooking, put goat cheese, cream cheese, and balsamic vinegar in a large bowl. Stir well to combine. Spread mixture onto the bottom of a 9-inch pie plate. Spoon caramelized onions over the top of the goat cheese mixture. You can serve the dip at room temperature, but it's best if you warm it in the oven or microwave for a few minutes (if using microwave, make sure your pie dish is microwave-safe first). Serve with crackers or dipper of your choice. You can make this dip a day ahead and keep in fridge. Just be sure to bring to room temperature, or even better, warm before serving. 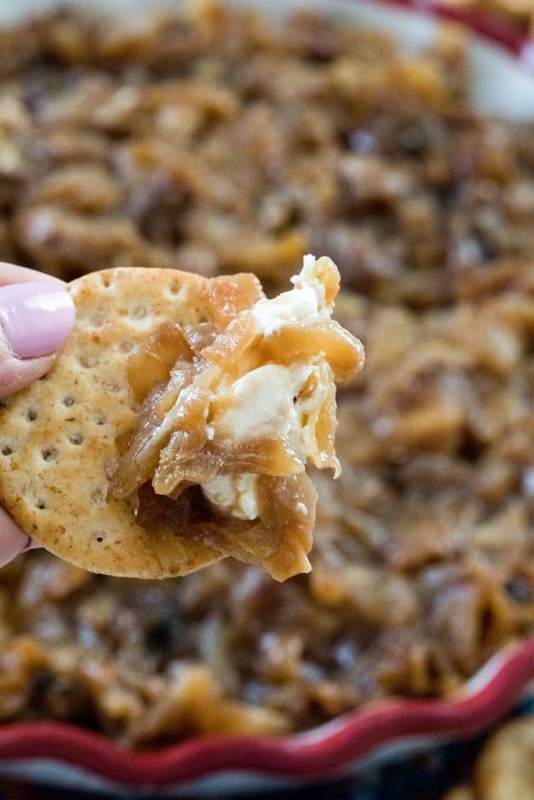 16 Responses to "Caramelized Onion Goat Cheese Dip"
I am salivating, Sues. It’s a little embarrassing actually…thank God it’s just me and the cat!! Sweet Georgia Brown. Need to make some of that pronto. I made onion dip for the 4th but it did not involve goat cheese. Anything with goat cheese is awesome in my book. Mmmmmm . . . chevre. Delicious. Cathy C – I HATE onions, but love this dip! Just don’t tell him what’s in it! I make a similar version with sharp cheddar, and I mix everthing together before baking. yay! 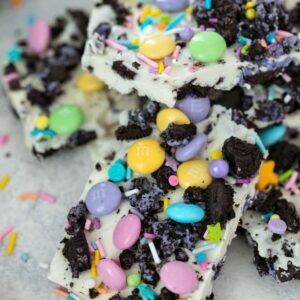 this is one of my favorite things ever, i could eat it all day! Wow, thanks for making me drool this early in the AM at my desk here at work. WOW. You saved my Memorial day party (well in my mind at least). I bought fabulous goat cheese for my mediterranian meal except I was gumsmacked on how to use it to it’s full potential. I googled Goat Cheese Dip and here was your fabulous receipe. My husband held his nose but my guests gobbled it up with smile on their faces. That night I achieved two things. Dinged DH, he said it would be a flop (he he) and then having DH admitting he was wrong. Does it get better then that! Sounds great! Can I make a day ahead and heat up in the over before serving? Aprox how much cream cheese? thx! Can’t wait to taste! You can definetly make ahead. This is an amazing dish. Just microwave for a few seconds to warm up. Made yesterday for company and they licked the dish clean. I did a variation and it turned out great! 2 logs of goat cheese, half brick shredded Gruyere cheese, 5 sweet onions Carmelized and a container of boars head pancetta. Carmelized the onions and added pancetta on the stove then threw everything into the mini slow cooker. Mixed it up and set on low until all melted then warm until ready to serve. Delicious!! Served with little phyllo cups. Such a lovely simple recipe. I’m a huge goat’s cheese fan! Anything caramelized onion and goat cheese related speaks to me. SUCH a good combo! And why not layer for it a dip? YUM!